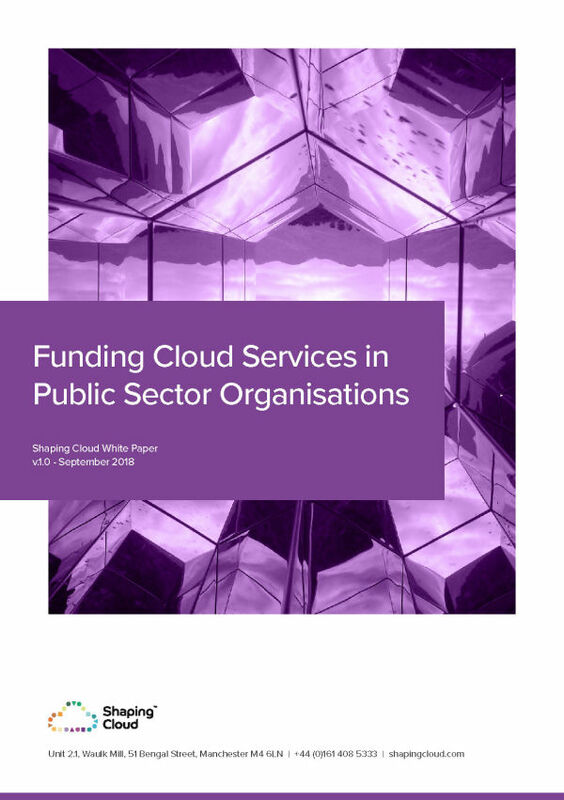 If you’ve made the transition to Azure cloud and have IaaS and PaaS workloads running in some capacity, now might be the time to consider what Microsoft’s Azure Operations Management Suite (OMS) can do for you in helping you manage your new cloud based workloads and IT Infrastructure. 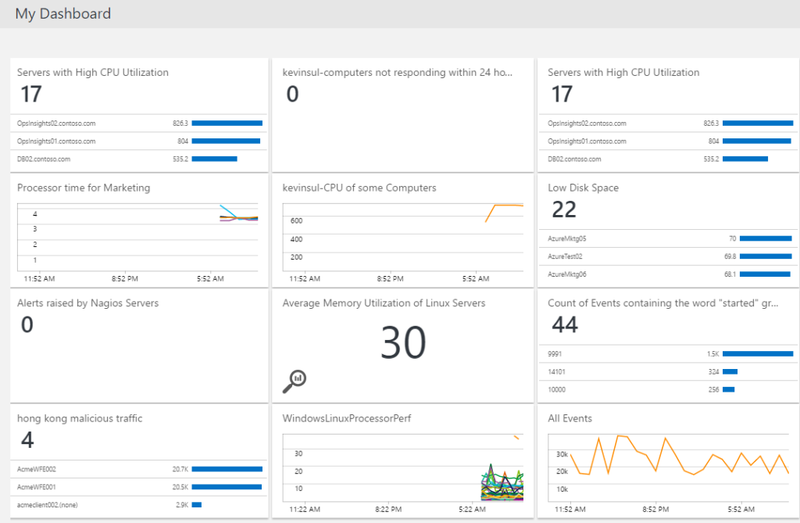 This article will help you get up and running quickly with OMS and your IaaS infrastructure. OMS is a collection of management services that will manage your cloud and on premise infrastructure. Gain deeper insights into applications and workloads with Log Analytics. Helps you collect, correlate, search, and act on log and performance data generated by operating systems and applications. Increase control with automation and configuration management. Azure Automation automates administrative processes with runbooks that are based on PowerShell and run in the Azure cloud. Runbooks can also be executed on a server in your local data centre to manage local resources. 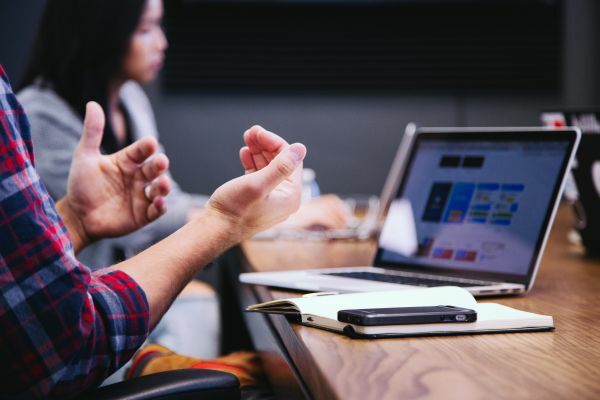 Ensure data protection with cloud backup and Disaster Recovery (DR) It can backup data from physical and virtual Windows servers in addition to application workloads such as SQL Server and SharePoint. Azure Site Recovery contributes to your business continuity and a disaster recovery strategy by orchestrating replication, failover, and recovery of on-premises Hyper-V virtual machines, VMware virtual machines, and physical Windows/Linux servers. Security and Compliance helps you prevent, detect, and respond to threats with increased visibility. Identify, assess, and mitigate security risks to your infrastructure. Collect and analyse security events on managed systems to identify suspicious activity. Report on the status of antimalware protection and perform analysis of security updates and other updates on your managed systems. 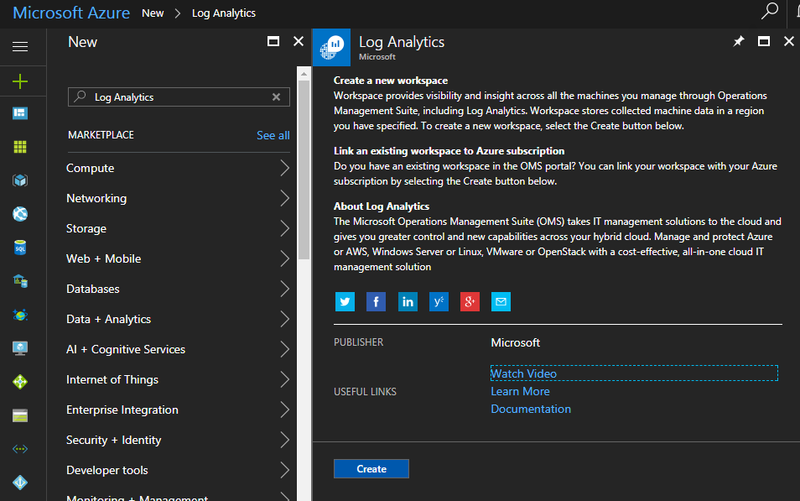 Solutions add functionality to Log Analytics, they are easy to add readymade solution modules from the OMS gallery. Data is collected by Azure Log Analytics and stored in an OMS repository called a workspace and presented in Dashboards for the end user. 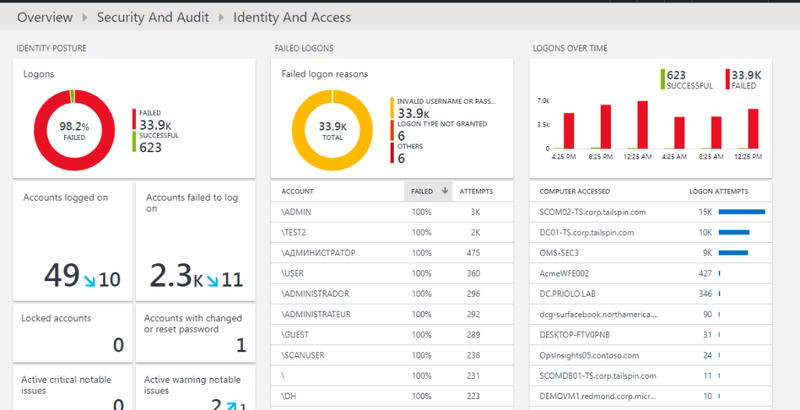 • An Azure storage account that collects Azure Diagnostics data from a worker role, web role, or virtual machine in Azure. 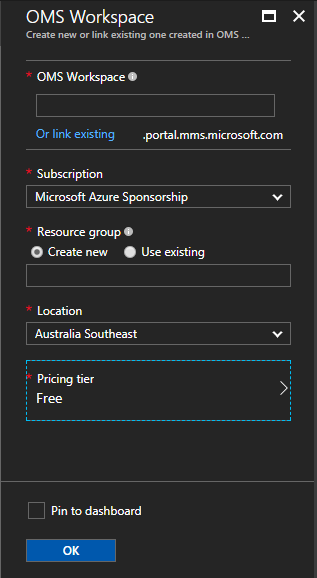 Click the home button to go back to the OMS Solutions overview page. From here you can click into the solutions added to your OMS Workspace to display more detailed information. For example, here I can see in Security and Audit under Identity and Access the logon activity of accounts in my environment. I can see straight away which accounts are having problems logging on and which computers are being accessed. Once you are up and running with OMS and have added some solutions, have a dig around and see what data in presented to you. In addition to the data presented in the individual solutions, you can perform custom searches across your entire dataset to present more specific information to your needs.